Introducing our first batch of Tasty Ice Cream! 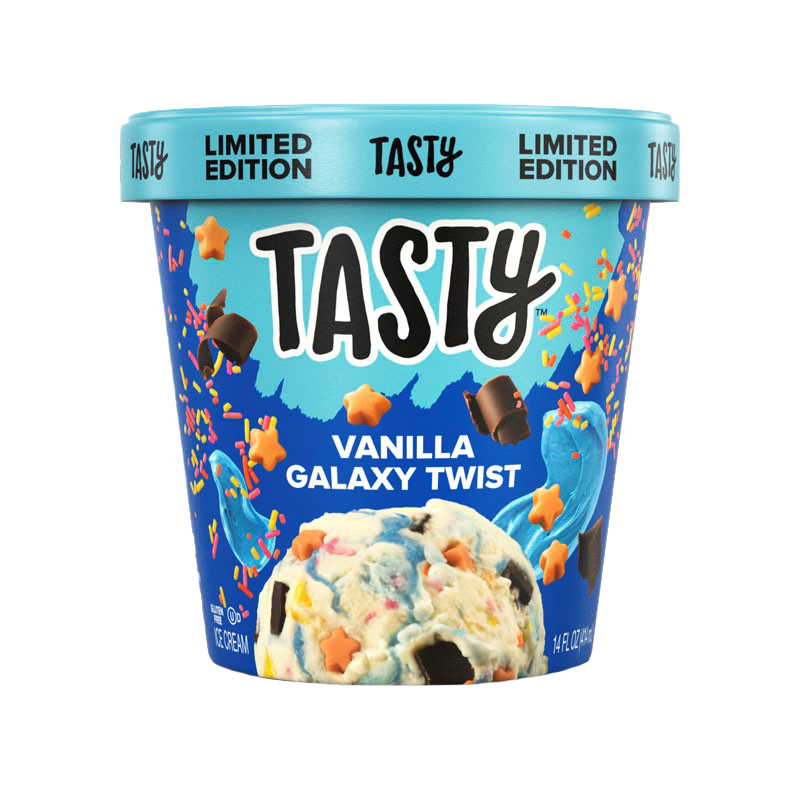 A one-of-a-kind flavor: Silky blue frosting swirls around classic vanilla ice cream, while caramel flavored stars and rainbow sprinkles twinkle and rich chocolatey flakes add some cosmic crunch. Skim milk, cream, sugar, corn syrup, whey, coconut oil, soybean oil, palm kernel oil, buttermilk, natural flavors, guar gum, cocoa processed with alkali, carob bean gum, soy lecithin, cocoa, salt, vegetable juice color, vanilla extract, spirulina extract color, paprika color, turmeric color. Tasty is a trademark of BuzzFeed, Inc.
** No significant difference has been shown between milk derived from rBST treated and non-rBST treated cows. Young children (less then 4 years) have limited chewing ability and could choke on small pieces. Try this peanut butter-marshmallow ice cream studded with peanut butter cups and graham cracker crunchies, mini marshmallows, and an ooey-gooey fudge swirl. S'More please! Skim milk, cream, sugar, corn syrup, peanuts, whey, coconut oil, peanut oil, peanut butter (peanuts, salt), modified cornstarch, bleached enriched wheat flour (wheat flour, niacin, reduced iron, thiamine mononitrate, riboflavin, folic acid), butter (cream, salt), cocoa processed with alkali, whole wheat flour, natural flavor, salt, guar gum, milk, palm oil, carob bean gum, molasses, chocolate, gelatin, modified tapioca starch, cornstarch, baking soda, soy lecithin, potassium sorbate, sodium alginate. Milk, wheat, peanut and soy ingredients. 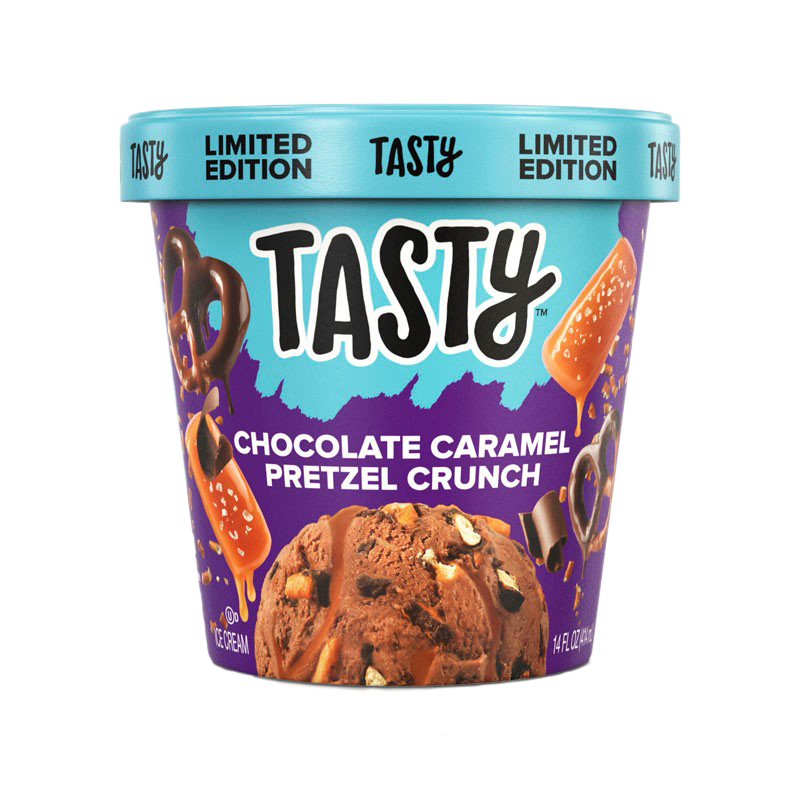 Between the pretzel bites floating inside a rich chocolate ice cream and the salted caramel swirl, this is sure to satisfy any craving. Skim milk, cream, sugar, corn syrup, cocoa processed with alkali, whey, enriched wheat flour (wheat flour, niacin, reduced iron, thiamine mononitrate, riboflavin, folic acid), coconut oil, sweetened condensed milk (milk, sugar), palm kernel oil, butter (cream, salt), salt, guar gum, soy lecithin, carob bean gum, cooca, milk, pectin, malt, vanilla extract, soybean oil, natural flavor, yeast, baking soda. Milk, wheat and soy ingredients. 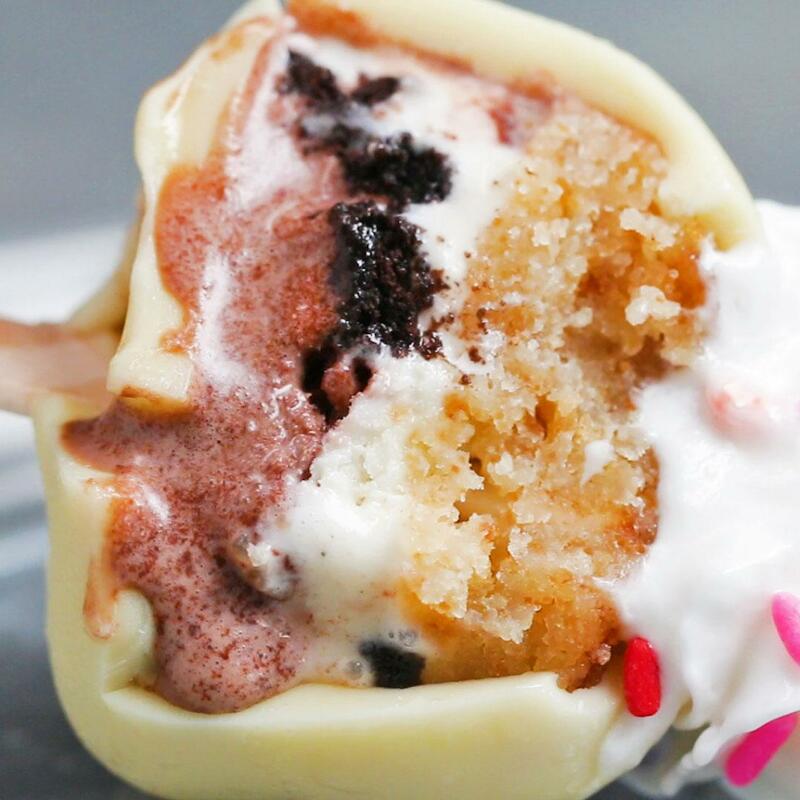 White chocolate flavored ice cream, thick swirls of raspberry, and chunks of cake make for a fancy-schmancy, dinner-party-worthy dessert. Just break out the spoons! Skim milk, cream, sugar, corn syrup, raspberry puree, whey, enriched flour (wheat flour, malted barley flour, niacin, iron, thiamine mononitrate, riboflavin, folic acid), palm oil, eggs, guar gum, natural flavors, carob bean gum, lemon juice concentrate, pectin, soybean oil, salt, mono & diglycerides, turmeric oleoresin color, xanthan gum, annatto color, soy lecithin. Milk, wheat, egg and soy ingredients. Find Tasty Ice Cream near you! Grab a spoon and join our #TastyIceCreamSocial! Here are some of the most common questions we get! Glad you asked. Tasty is the largest food network in the world. From viral recipes to cooking tips, an app, a cookware line and more, our mission is to make cooking easy and fun. Since ice cream is pretty much the most fun food, we now sell packaged ice cream with delicious flavors inspired by your favorite recipes. How many flavors of Tasty ice cream are available? Right now, we have 4 delicious flavors, which you can learn about on this site. All of our flavors are Limited Edition, which means once they're gone, they're gone. Each ice cream is 14 oz. and only available in the freezer aisle of your grocery store . Keep a lookout for other exciting flavors hitting shelves later this year. How long will the flavors be around? Each flavor will be available for 3-4 months, before the next batch of flavors is introduced, so get them while you can! Who makes Tasty ice cream? Tasty does! Our chefs, producers, culinary team, and the people who own the hands in the videos created, developed and tested every flavor until it reached perfection. Each flavor is inspired by your favorite Tasty recipes (or the recipes you liked and shared the most over these past few years). 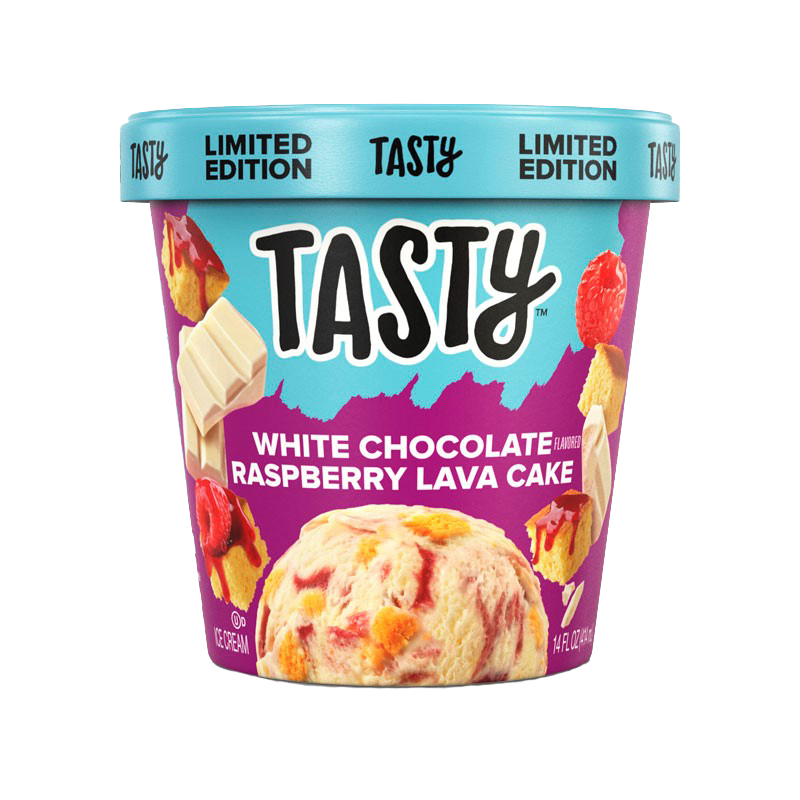 We partnered with our good friends at Nestlé Dreyer's Ice Cream, who make the best ice cream ever, to bring Tasty Ice Cream to grocery stores nationwide. How much does Tasty ice cream cost? The suggested retail price for pints is $4.99 -- check your local grocery store for special pricing. Where can I buy Tasty ice cream? Look for Tasty Ice cream in the freezer section of these retailers starting mid-to-late February! Meijer, Albertson's/Safeway (Denver, Southern California, Arizona), HEB, Dollar General, and Hy-Vee. Tasty Ice cream will be available at additional retailers throughout the spring and early summer. Please check back soon for more information. *Product may not be available in every store. Check with your local retailer for availability. What do I do if I can't find Tasty Ice Cream near me? Close your eyes and wish really hard. Just kidding! Ask your local store manager to carry Tasty Ice Cream! We appreciate the love. If you are having any issues, shoot us an email and we'll certainly see what we can do to get you hooked up. I love your products. How do I let you know? Aw, shucks. We're blushing. Seriously, that means the world to us. We always want to hear from you on our Tasty Facebook Page, text/call us #855-293-4961 or email Tastyicecream@casupport.com. We love you right back! All products that are gluten-free are clearly marked as such on the packaging and the website. GOOD NEWS! 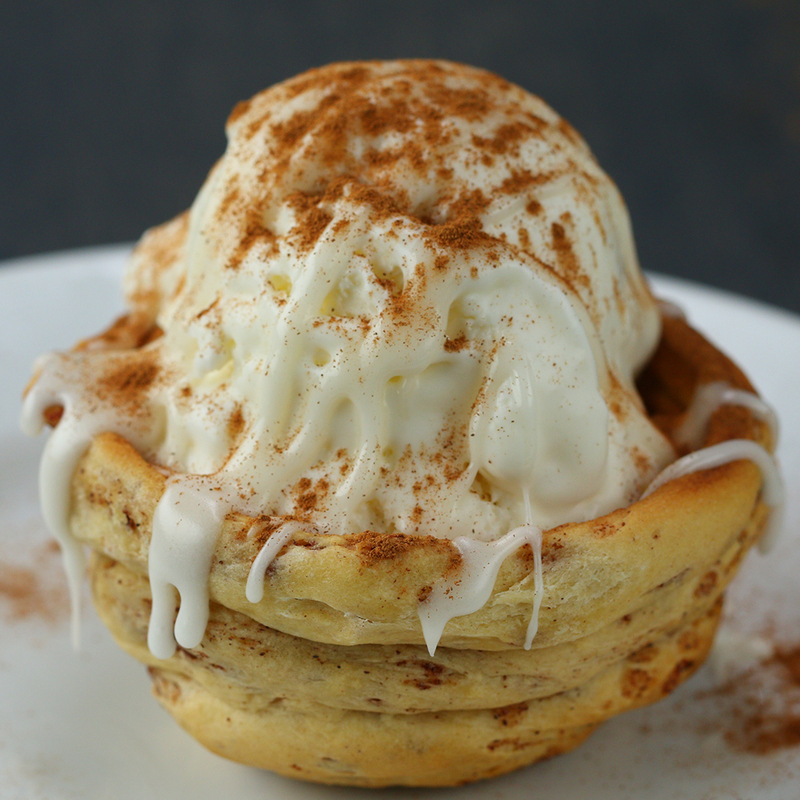 Our Vanilla Galaxy Twist Flavor is Gluten Free - enjoy! Good question. Working with food, we care A LOT about allergens and keeping you safe. Some of our Tasty Ice Cream products contain allergens. For these products, we always list the major food allergens in a “contains” statement after the ingredient statement. 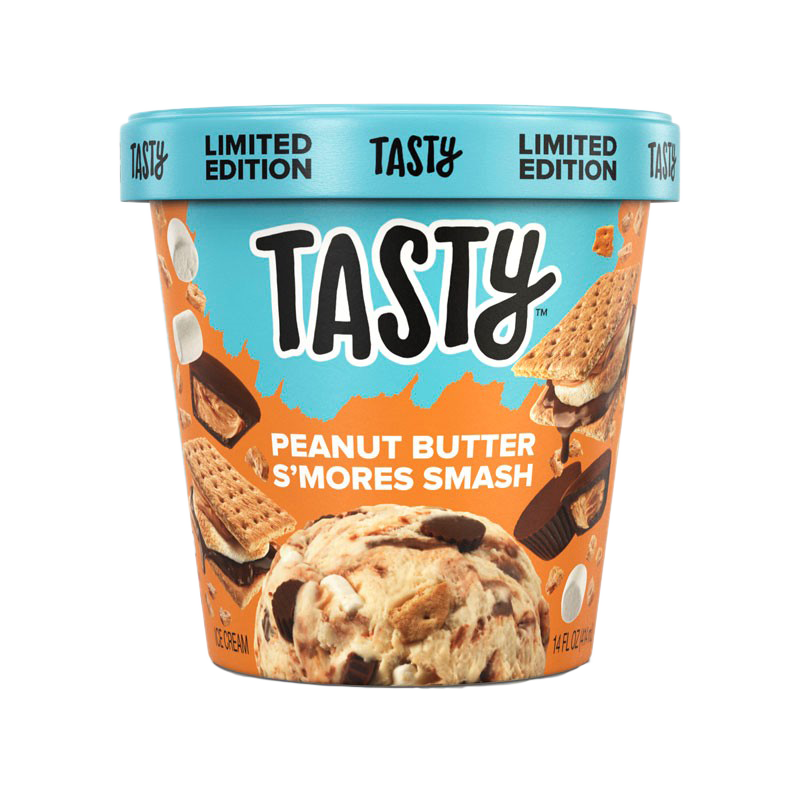 For example, our Peanut Butter S'mores Smash flavor “Contains: Wheat, Milk and Soy”. Be sure to check each flavor for specific allergens included. Are your products made in a nut-free facility? None of our products are made in a nut-free facility. 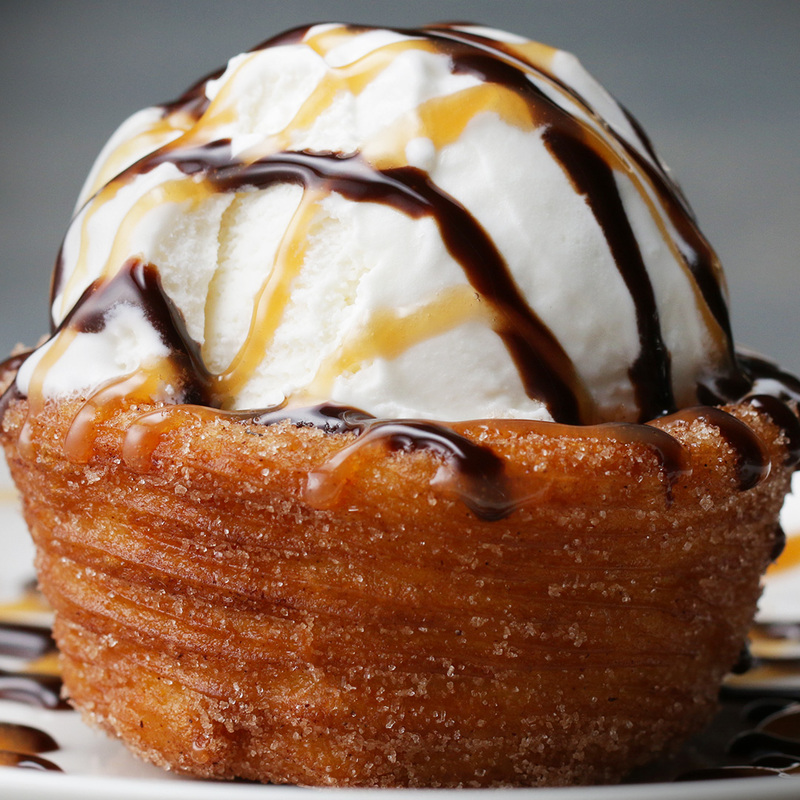 Are Tasty Ice Cream products Kosher certified? Yes, most of our Tasty Ice Cream products are Kosher OU-D certified. This is clearly marked on all of our packaging so check specific flavors to confirm. Do Tasty Ice Cream products go through a pasteurization process? If so, how does the process work? Yes, all of our Tasty Ice Cream products go through a pasteurization process that involves using appropriate temperatures and time during manufacturing to make sure all of our products are safe for consumption. What's the best temperature for product storage? Tasty Ice Cream products are best stored at home, unopened, at 0 degrees F (-18 degrees C). For extended storage up to the "best before" date, we recommend -10 degrees F (-23.3 degrees C) or colder, when possible. How do I know if my Tasty product is at its best quality? When kept at the recommended storage temperature, Tasty Ice Cream products are excellent through the "best before" date found on the package. A "best before" date is found on the bottom of each carton. How should I serve my Tasty products? To deliver the best flavor and texture, allow your Tasty products to soften at room temperature for approximately 10 minutes, depending on the actual room temperature and the temperature of your freezer. This gives the ice cream a chance to settle a bit. Can Tasty products be refrozen after they've thawed? 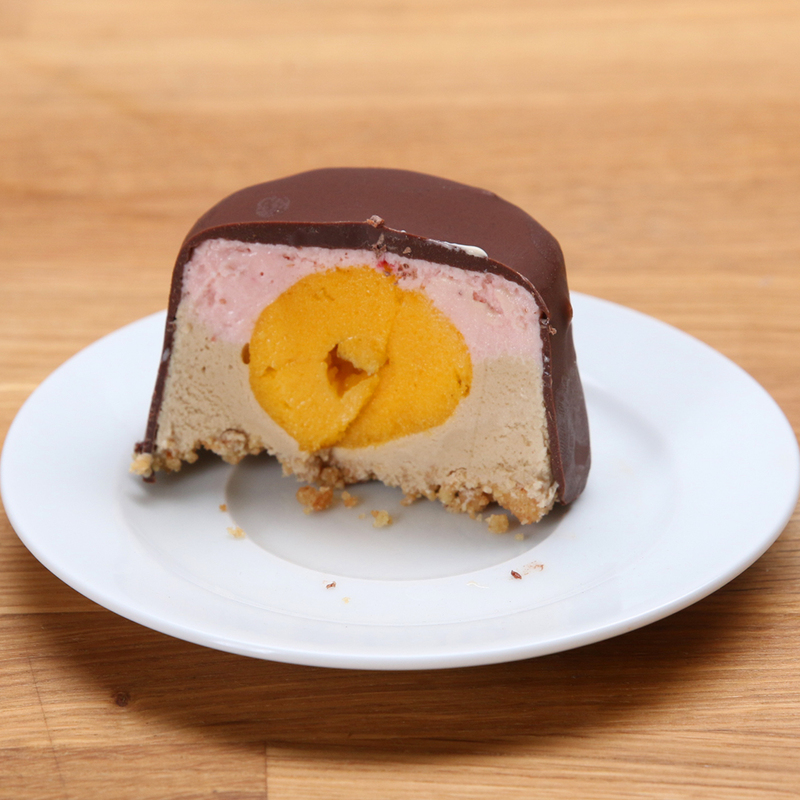 Tasty Ice Cream products should not be refrozen if thawed. Thawing and refreezing can create large ice crystals and cause undesirable grainy/gritty textures or diminished quality.